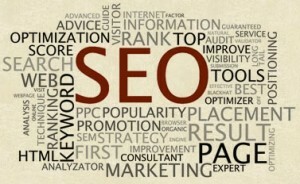 Check out Google’s Search Engine Optimization Starter Guide ! Keep in mind that the Google search results page includes organic search results and often paid advertisement (denoted by the heading “Sponsored Links”) as well. Advertising with Google won’t have any effect on your site’s presence in our search results. Google never accepts money to include or rank sites in our search results, and it costs nothing to appear in our organic search results. Free resources such asWebmaster Tools , the official Webmaster Central blog , and our discussion forum can provide you with a great deal of information about how to optimize your site for organic search. Choose wisely.While you consider whether to go with an SEO, you may want to do some research on the industry. Google is one way to do that, of course. You might also seek out a few of the cautionary tales that have appeared in the press, including this article on one particularly aggressive SEO:http://seattletimes.nwsource.com/html/businesstechnology/2002002970_nwbizbriefs12.html . While Google doesn’t comment on specific companies, we’ve encountered firms calling themselves SEOs who follow practices that are clearly beyond the pale of accepted business behavior. Be careful. If your complaint is against a company in a country other than the United States, please file it athttp://www.econsumer.gov/ .